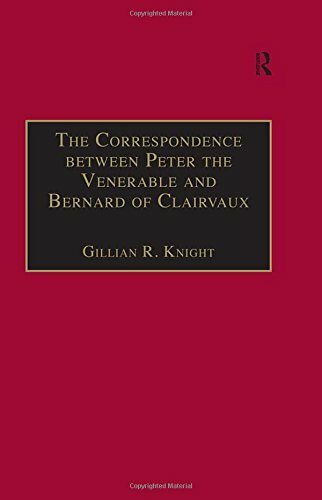 Starting from the premise of the letter as literary artefact, with a potential for ambiguity, irony and textual allusion, this innovative analysis of the correspondence between the Cluniac abbot, Peter the Venerable, and the future saint, Bernard of Clairvaux, challenges the traditional use of these letters as a source for historical and (auto)biographical reconstruction. Applying techniques drawn from modern theories of epistolarity and contemporary literary criticism to letters treated as whole constructs, Knight demonstrates the presence of a range of manipulative strategies and argues for the consequent production of a significant degree of fictionalisation. She traces the emergence of an epistolarly sequence which forms a kind of extended narrative, drawing its authority from Augustine and Jerome, and rooted in classical rhetoric. The work raises important implications both for the study of relations between Cluniacs and Cistercians in the first half of the 12th century and for the approach to letter-writing as a whole.